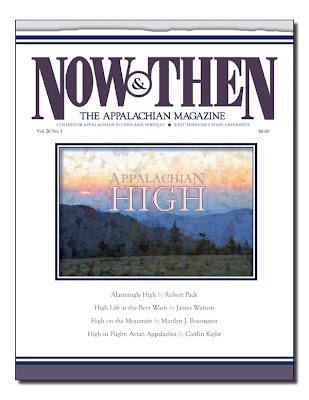 The summer issue of Now & Then: The Appalachian Magazine is out and it's a really good one. I think this is my favorite of the Appalachian themed mags and not just because they are so supportive of my work. This issue's theme is "Appalachian High" and they were kind enough to publish my coming of age story, "The Truholt Madstone". Fred Sauceman writes eloquently about one of my favorite topics--barbecue--in his article, High on the Alabama Hog. A very interesting piece by Michael Joslin titled High Time for Change examines the changing attitudes toward birds of prey held many Appalachian folks--something I used in my story Hawk Kill. Many other great stories in this issue--so please order a subscription. ETSU produces a big, glossy beautiful magazine full of Appalachian goodness. "Truholt" is set way back in a time before the chestnut trees died out and is about a folk cure for rabies called a madstone. I'm very busy with the garden these days. Am going to go out there in a minute and pick corn. 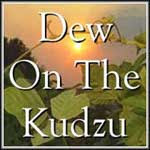 I have all sorts of things coming in--cucumbers, squash, beans, new potatoes, okra and fresh purple hulls. Made a pot of my momma's South Georgia garden stew. I actually associate that soup with the winter, but it's meant to be made right from the garden. Hardly even needs salt for seasoning and is heavy with corn, okra and beans. We used to use stew beef for the meat--but I had a goat haunch I needed to use up and it turned out great. So, I can honestly say I made everything in the stew from stuff here on the farm. Yesterday was one of those odd days where it rained like the dickens in the midday sun. So violent it spat a rainbow rare and turbulent up on the mountain sky. I didn't do much but did pick blackberries--I'm getting down to the last of them. It's the right time of year "The God of all Blackberries" to make an appearance. I'd noticed there were some tunnels under the blackberry canes that I had not put there. They were low to the ground and all the easily got to berries were gone. The only other time I'd seen something like this was at my old blackberry field that I shared with a bear and her cub. I was a bit perturbed to think I had bears visiting so close--these canes are right next to the house. Mystery solved---I heard some gawdawful snuffling--numnumnum--and it was Max. Max the blackberry eating Cocker Spaniel. Hooray, Rosie's back! Glad to hear you're out and in your garden. We just had our house painted and the garden looks like it's in shock. It's also a lot of interesting colors splashed here and there. I went out and got some basil and mint. I'll add a tomato plant or two and call it done!